WeHunt Pro includes Scandinavian property maps, the possibility to organise hunts and much more. You also receive a discount on purchases in the app and the option to see participating dogs with our WeHunt GPS. 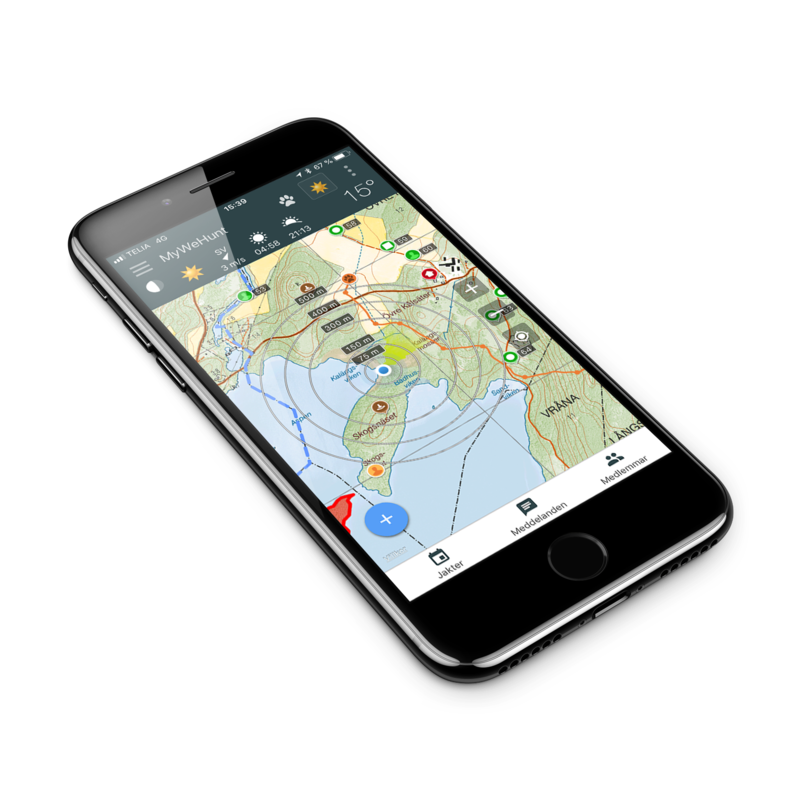 The subscription includes local maps for Scandinavia in addition to Google/iOS maps for the whole world. You can also purchase our discounted map packs for Sweden, currently totalling to 5,000, 10,000 and 25,000 hectares. If you need hunting maps in paper format you can print them, either directly from the application (A3-A4) or in our popular web-based mapping tool (A0-A4). Invite people to join your hunting party in the app or via our web-based hunt planning tool. If you create a hunt invitation from the website, invitees receive both a notification in their app and an invitation email. The hunting season chart for Scandinavia is included in your subscription for WeHunt Pro. Plan and start hunts. Real-time positioning of guns, drives and dog handlers gives the hunting party new opportunities to carry out a successful and safer hunt. Wehunt Nordic AB has taken out insurance for users of the WeHunt application with a valid WeHunt Pro annual subscription when hunting in the Nordic Region (including preparatory and supplementary work, pick-up, blinds and trails, zeroing and practice shooting, ground and hunt maintenance as well as feed and wildlife management). After the hunt is over, a detailed hunt report is generated with observed and shot game. A successful hunt with WeHunt is stored and be replayed on video. The film shows the positions of all hunt participants and gun dogs on the map for the duration of the hunt. A great tool for follow-up and planning prior to future hunts. View your own and your hunting companions’ pictures sent from the game camera. Function for importing and exporting map pins in the .gpx format.